Voice search is rising at a phenomenal steep. It continues to grow in popularity and as per Google, some 50% of total search traffic will come this way by 2020. The good thing, 1 in three mobile users around the world believe that voice search produces accurate results. Since 2010, voice searches have witnessed a seven-fold rise (7x) and there is no reason it will stagnate or degrow in future. Because, this kind of searches is future itself. More websites now brace themselves to excel at voice search to increase their reach to a wider audience. With Apple’s Siri, Amazon Echo and Google Eco already in the fray, you can expect brands to take steps towards achieving success in a voice-enabled digital landscape. The success however will happen to only those sites that are optimized for voice search. The rest have to wait and see other benefit from a brilliant technology. If your website is still not optimized, how can you expect it to handle queries of those people who are using their voice via mobile or other hand-held devices? More users now look to reduce the type involved in typing over phones to get the answers for their query. 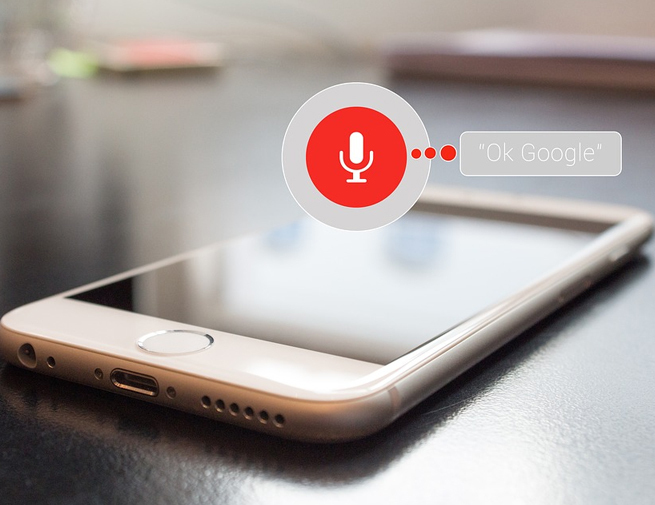 Since voice search is different from organic search, your website must be optimized for voice commands and voice search algorithms to cater users well. To do this, you first need to understand the changes to be made to the site’s SEO structure and element to achieve the goal. Like organic search, content on your site will still be the determining factor for its ability to be searched more. And you know how much important role keywords play in preparing your website content for appear more easily in searches. So, naturally, keyword analysis will be the first thing to do when preparing your website for voice-enabled searches. There are a number of tools for keyword analysis and you can take help of them. Next, your webpage content must be peppered with questionable sentences using words like ‘why’, ‘how’, ‘when’, ‘where’, etc. By doing so, your website’s ranking for voice search queries will grow and you will achieve the desired target easily. If your website is not responsive and if its speed is not good, it’s then better to forget about its performance for voice search. Slow speed or lack of responsive is one of major reasons behind visitors switching over to other sites instantly. In fact, even search engines give good rankings to sites that are easy to operate and that have less loading time. Clearly, your website needs to be responsive if you aim to reap rewards from voice search trends. It has to deliver consistent experience to users across devices, irrespective of the screen size. So, focus on keeping the site faster and more responsive to be in a position to gain out of voice-powered queries. FAQs are back in the reckoning. Well, they never left the scene itself. Users still rely on them to get guided through the site or seek information in an organized manner. Queries are going to be key again with voice searches and this is why FAQs regain the sheen they have lost in recent years. Your challenge will be to have an FAQ page with all those queries and doubts users are likely to put. Based on the information you want to provide through the site, you can lay out responses, use a lot of phrases and cover most of queries customers put forward. This will enhance your website’s performance with search query. How can you benefit from voice search when your site is not optimized for mobile in the first place? This is like swimming in the deep ocean without the oxygen mask. Can you survive and even if you did, could you hope to thrive? Least likely because only mobile-optimized sites can handle voice search-enabled queries in right manner. So, your foremost focus should be on getting the site ready for mobile as only this can cater your customers well. Tools are there to make the site optimized for mobile even without spending a lot of money in the process. You can also hire an expert to do the needful and let your site become ready for the latest trends in searches. Local search is growing in relevance. It can help your business target people locally and achieve targets easily. For that to happen, your webpages must be optimized for a local search. This is done by optimizing Google business page for local searches so that people searching for space-specific information can find your site easily. More importantly, you must understand that most voice search queries are related to places and this is how Google can track user location and keep your site in relevance. You must add address, phone number, place and other local things to optimize your site for local search. You can use keywords and phrases like ‘shop near me’ , ‘shop nearby’, or ‘close to me’ etc. You know having a site ready for voice search queries is just half the job done. The other half involves its testing so that you can know whether or not it’s up to the mark. The testing is for queries your website is being readied for. You need to check the site as if a customer would to see the results and response. The testing will give you an idea whether your site is adjusting to voice search technologies well. If possible, hire an experienced digital marketing agency in Dubai for better work and quality result. You will then be sure that your website is ready to serve customers and their different voice search queries in an effortless manner.